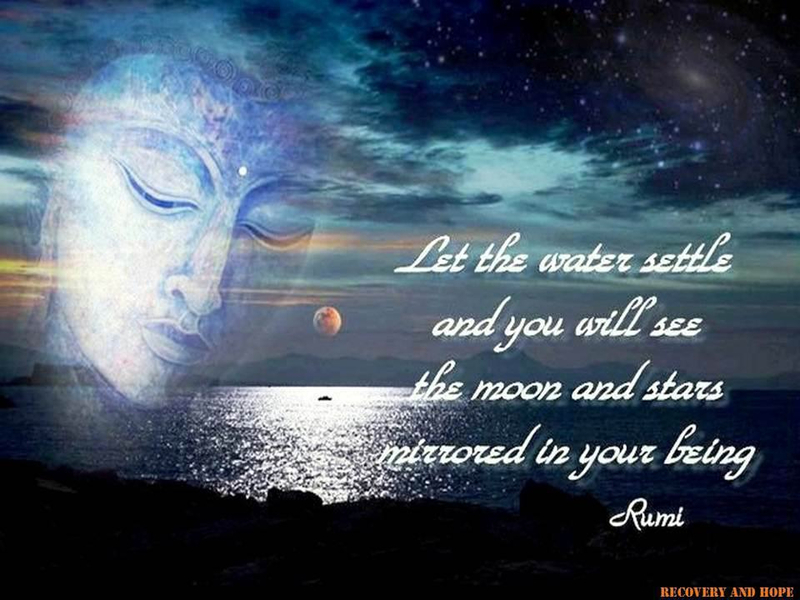 “Let the water settle and you will see the moon and stars mirrored in your being”. ~ Rumi | Gurly's collection of quotes, notes & video's made by great people who have been sharing their enlightenment through their words and actions. This entry was posted in Meditation, Quotes, Self development and tagged Quote, Quotes, Rumi by Gurly Hafsmoe. Bookmark the permalink.